Edinburgh; a city packed with Scottish history, culture and great people. The city of Edinburgh is without reason, the capital of Scotland and has bags full of potential to offer its visitors. 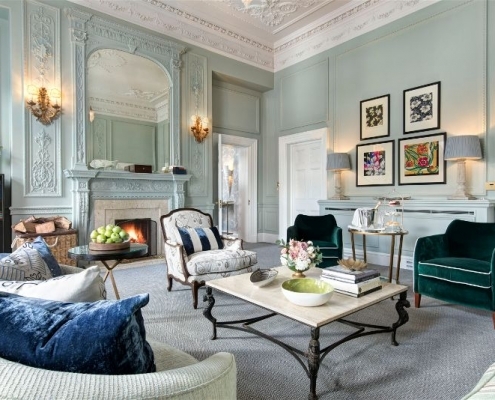 If you’re looking for a bit of luxury during your stay in Edinburgh then look no further than the Balmoral Hotel. 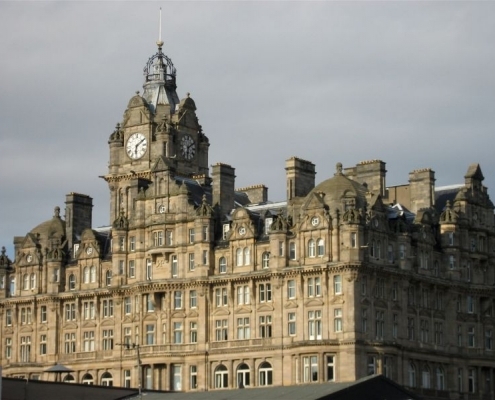 The Balmoral Hotel is a five-star, luxury hotel and landmark in itself, located in the heart of Princes Street, which is Edinburgh’s most iconic street. 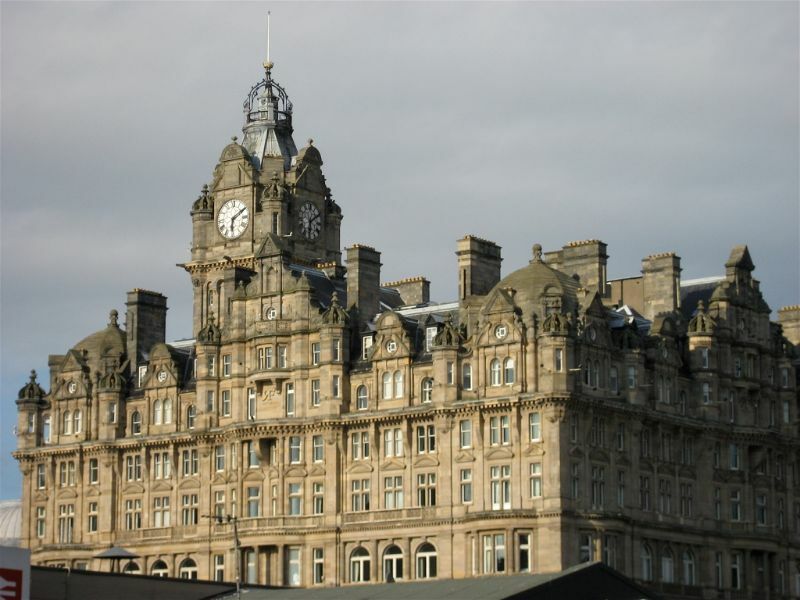 The Balmoral Hotel can be found at the most prestigious address in Edinburgh, No. 1 Princes Street. 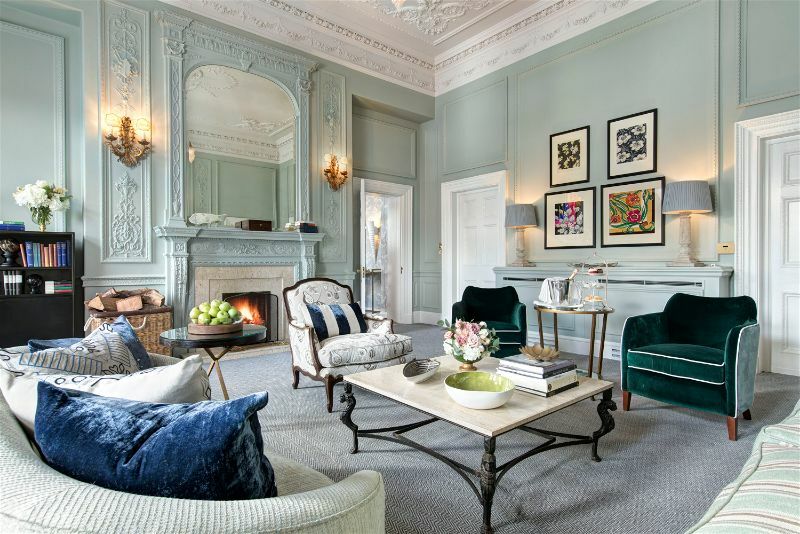 Within just 15 minutes, you can find yourself standing in front of the impressive Palace of Holyroodhouse or the Scottish National Gallery of Modern Art. Even by stepping a couple of steps out of the Balmoral Hotel, you will have direct access to the many high-street and designer shops on offer on the famous Princes Street. 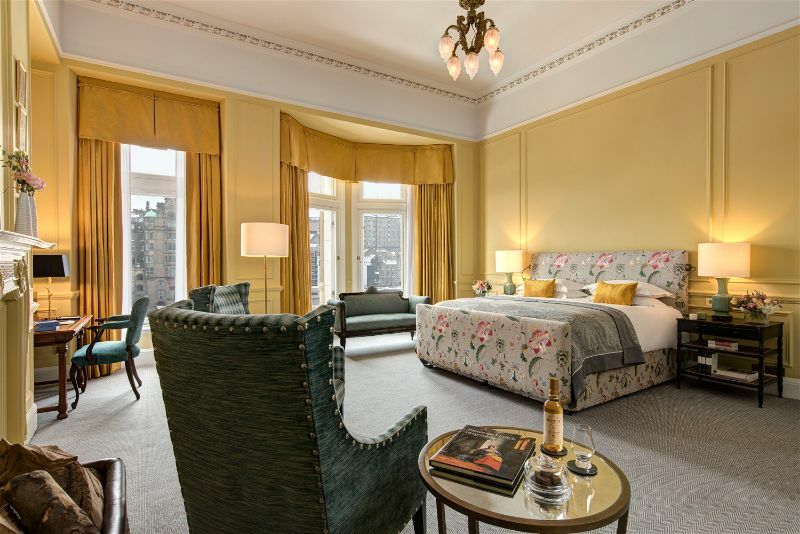 After a day of sightseeing and shopping, guests at the Balmoral Hotel can venture back to the comforts of their room, take a deep breath, and fully relax. 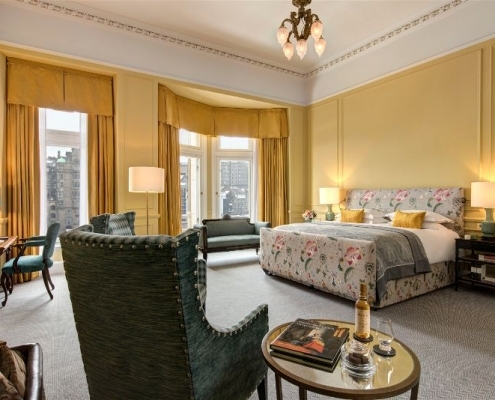 The perfect combination of timeless elegance with modernity results in the 168 rooms at the Balmoral Edinburgh to be extraordinarily beautiful. Sophisticated, stylish with subtle Scottish touches, each room at the Balmoral Hotel is unique in its own right. From a classic room to the J.K. Rowling Suite, the Balmoral Hotel exudes brilliance. Combining modern design with traditional Scottish charm, the classic room features stunning marble bathrooms and courtyard views. Whilst the Deluxe Castle View Room provides exactly what it says; incredible views which overlook Princes Street Gardens and Edinburgh Castle from the location of the hotel’s higher floors. Along with the marble bathrooms, the Deluxe Castle View is beautifully decorated to capture the true essence of Scotland. For the Harry Potter enthusiasts, the J.K. Rowling Suite is the exact suite where J.K. Rowling finished Harry Potter and the Deathly Hallow, featuring a stunning sitting room with turret style alcoves and interior inspired by Scottish forests. Upon the rich oak furniture sits Hermes, the Greek god of travel, which has been sign by J.K. Rowling. With unique finish touches such as the brass owl doorknocker, the J.K. Rowling Suite is truly exquisite and inspirational. At the Balmoral Hotel in Edinburgh, guests are spoilt for choice when it comes to their dining options. Rightfully named is the Michelin-starred fine-dining restaurant, Number One. Merging creativity with the traditional charm of Scotland, Chefs Jeff Bland and Brian Grigor create original dishes using the finest and freshest Scottish produce. After dinner, guests can enjoy the Balmoral Hotel’s signature whisky bar, Scotch. With a range of over 500 malts, blends and vintages from the very best areas of Scotland, Scotch allows guests to delve into Scotland’s national drink. The Whisky Ambassador at Scotch pairs each whisky with a specially selected snack to bring out the flavours of your whisky to tantalise your taste buds. The team at the Balmoral Hotel in Edinburgh work very hard to ensure that their guests receive the very best of Scottish hospitality. 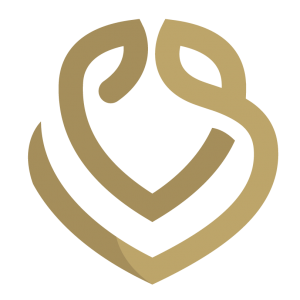 With many first class amenities, the Balmoral Hotel provides ultimate luxury to all of its guests.